Zone: poems of the Bosnian War. Stuart Laycock. Paperback ISBN 978-1-869848-04-0. £7. 16 November 2015. 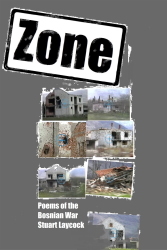 THE POEMS BY STUART LAYCOCK IN ZONE sympathetically visit and revisit Bosnia-Herzegovina in the 1990’s, moving between places of safety and war-torn regions. Witnessing and experiencing shocks to the fabric of the lives of people young and old during a conflict in which humanity was painfully lost, the poet recalls the burnt and bullet-holed emblems of life, broken bridges, fear on the roads and precious moments of respite - not without some wry humour. Observing a cat in the ruins, seeing the wounded in hospital, or meeting a boy without a smile, the poet travels in the wake of the fighting trying to make sense of the worst that can befall. This book contains photos, stills from video film taken by the author. 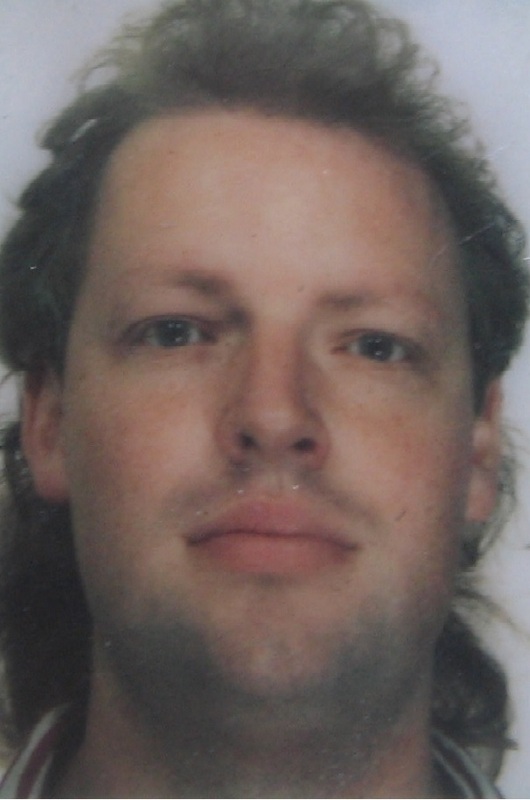 The photo on the left of this page is of Stuart Laycock from the ID card carried in Bosnia, 1994. Stuart Laycock studied Classics at Cambridge, has written history books including All the Countries We’ve Ever Invaded and has also been a writer in advertising and marketing. Over a period of three years during the Bosnian War he took part in seven aid missions to the country and he continued to visit Former Yugoslavia on aid missions long after the war. His poem Grammar was shortlisted for the Festival Poet of the Year Award at the 2015 Canterbury Festival. This is his first published collection of poems.